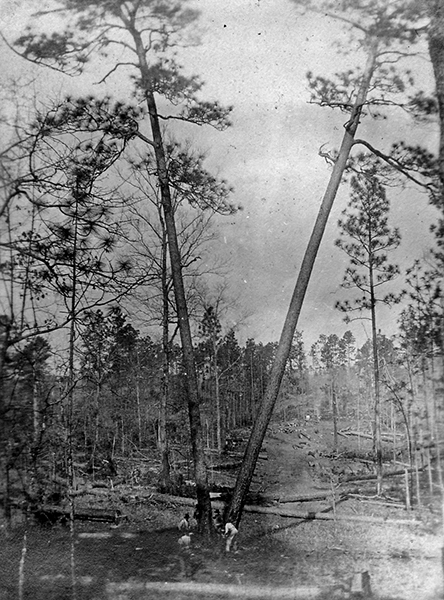 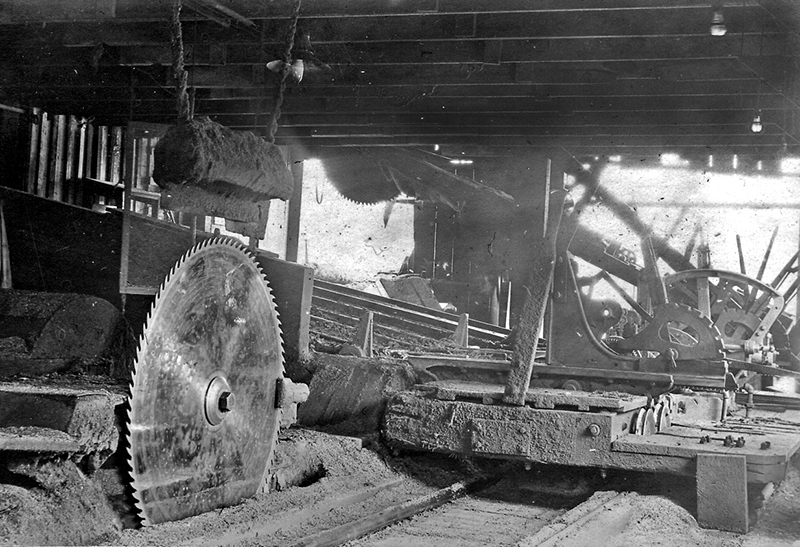 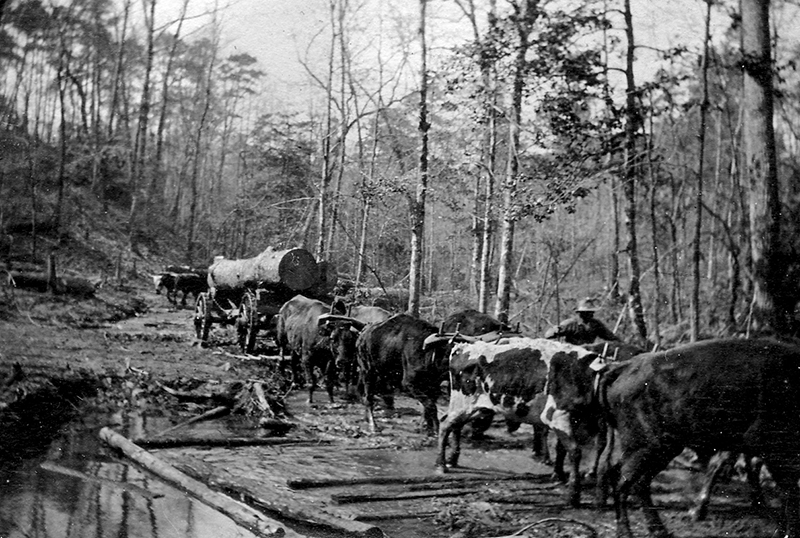 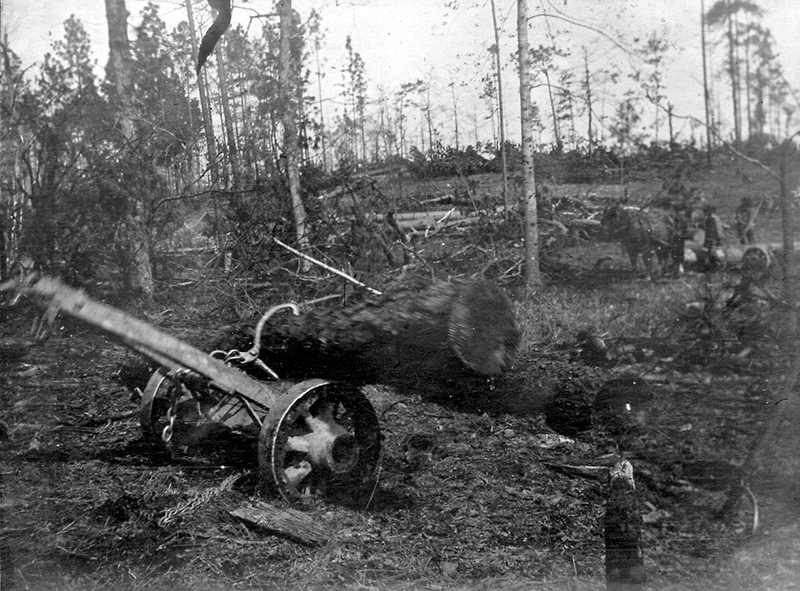 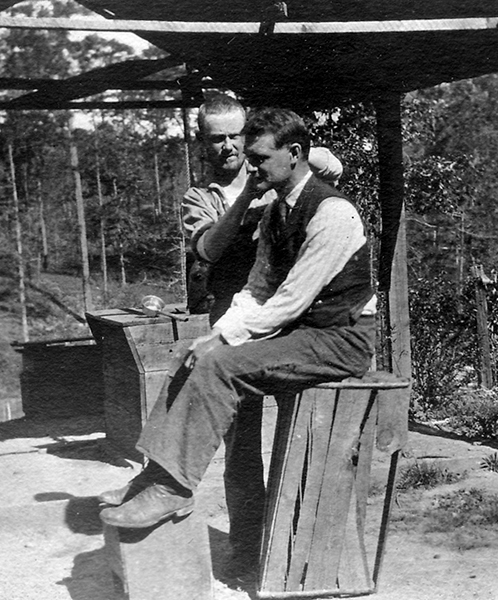 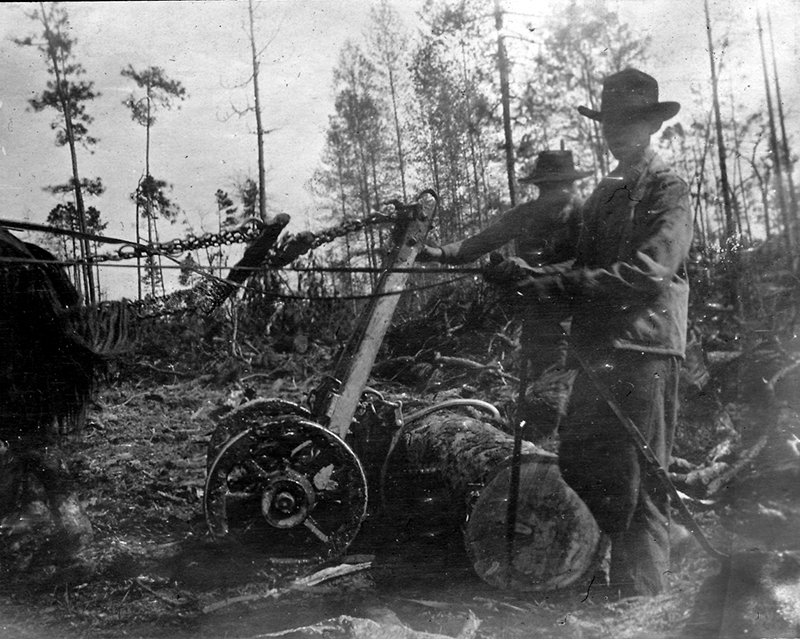 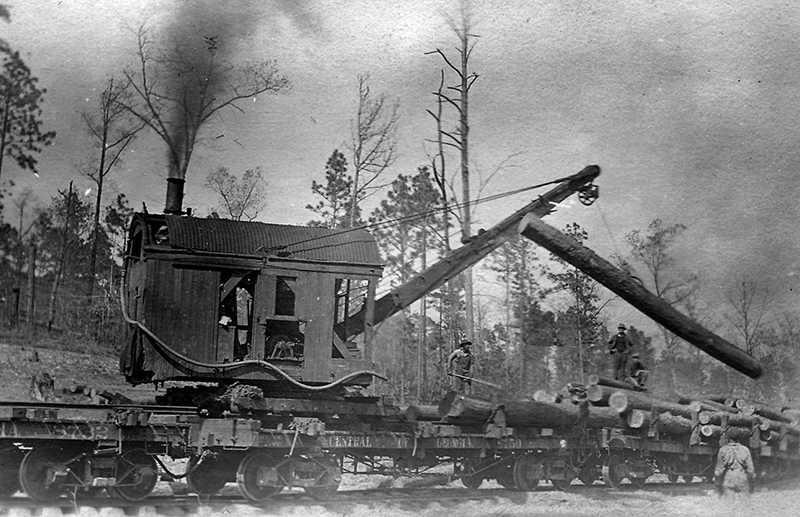 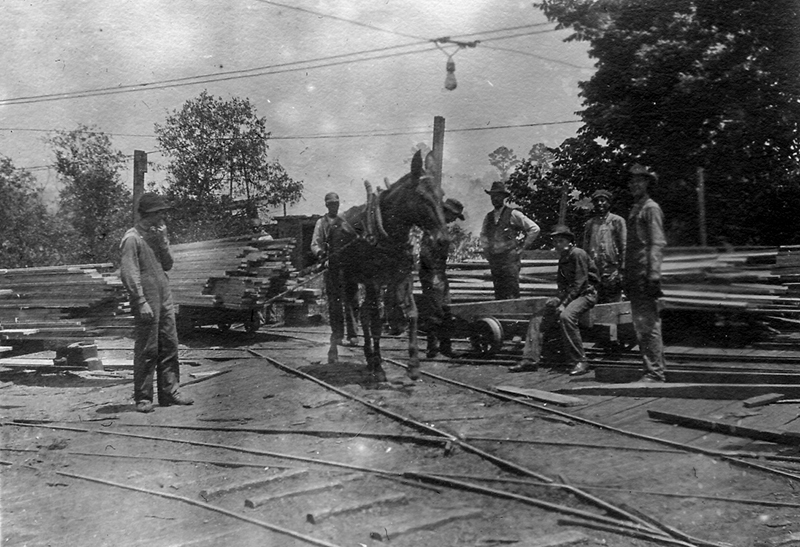 The logging industry has played an important role in Alabama's economy for decades. 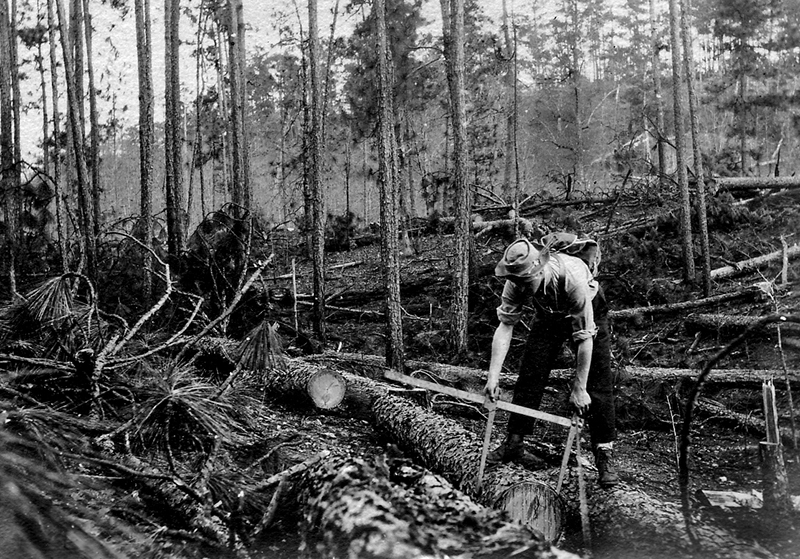 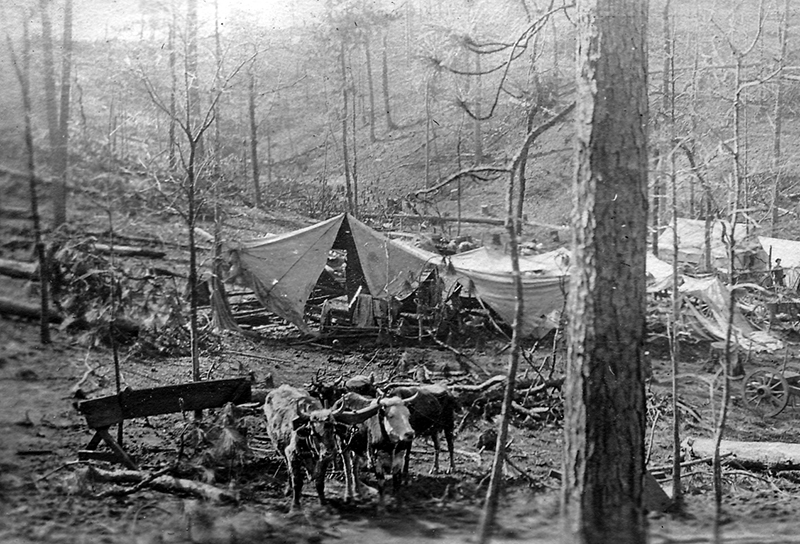 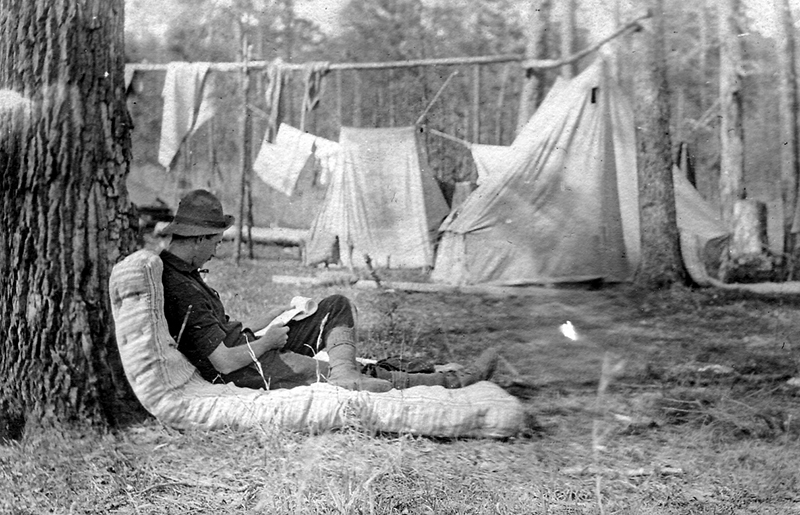 European settlers were greeted with centuries-old forests that they initially cleared for farming and later harvested for commercial export. 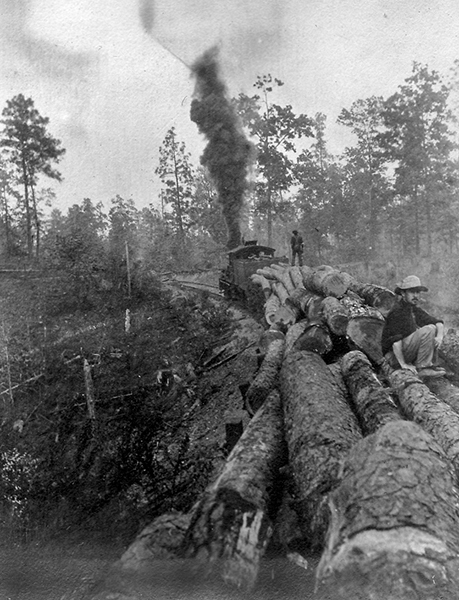 Once a laborious and dangerous process requiring skilled personnel and extensive animal power, logging gradually has been transformed into a mechanized industry that today provides the state with a large portion of its agricultural employment. 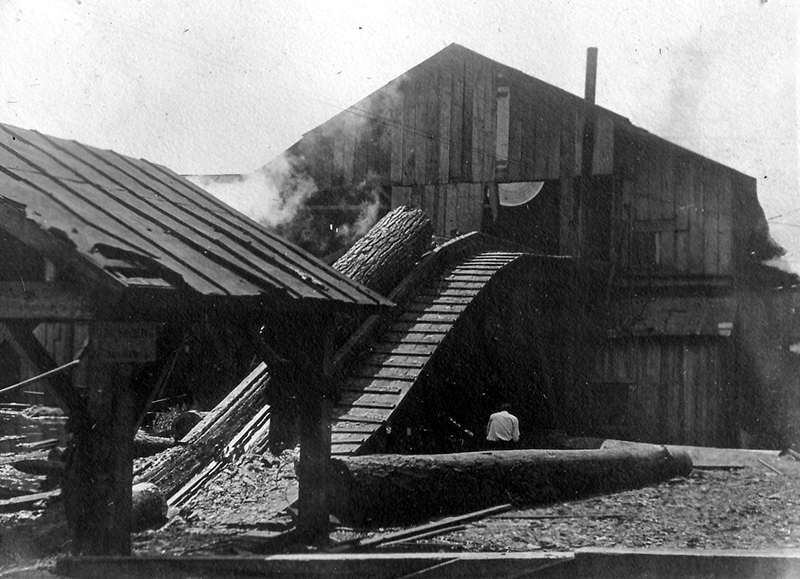 This photograph collection was likely taking during a Yale workshop visit to a Kaul Lumber Company operation in Hollins, Clay County, ca. 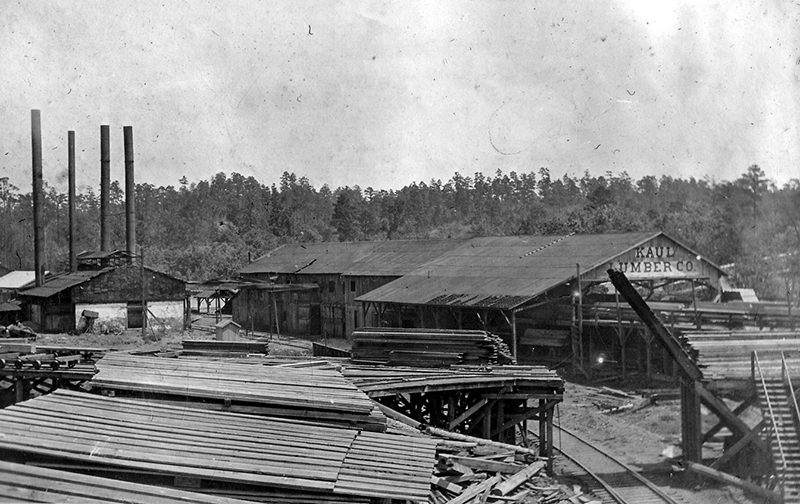 1910-15.